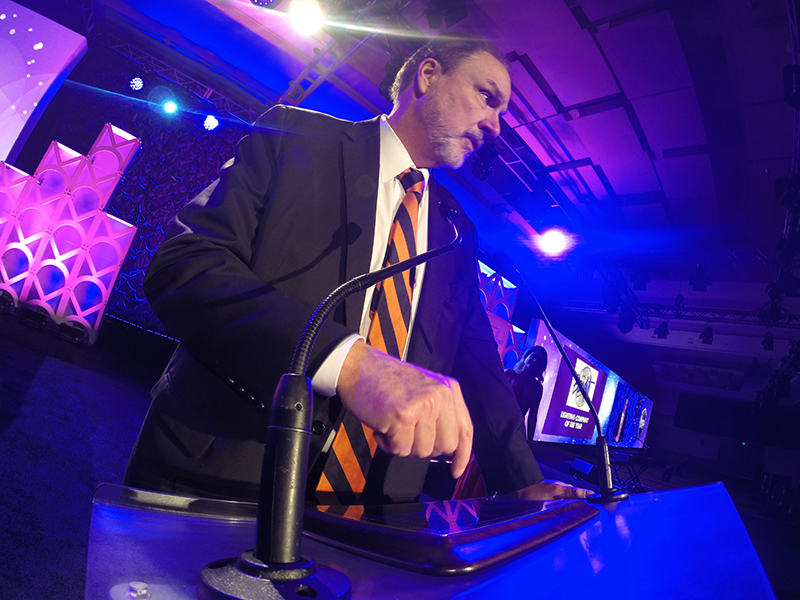 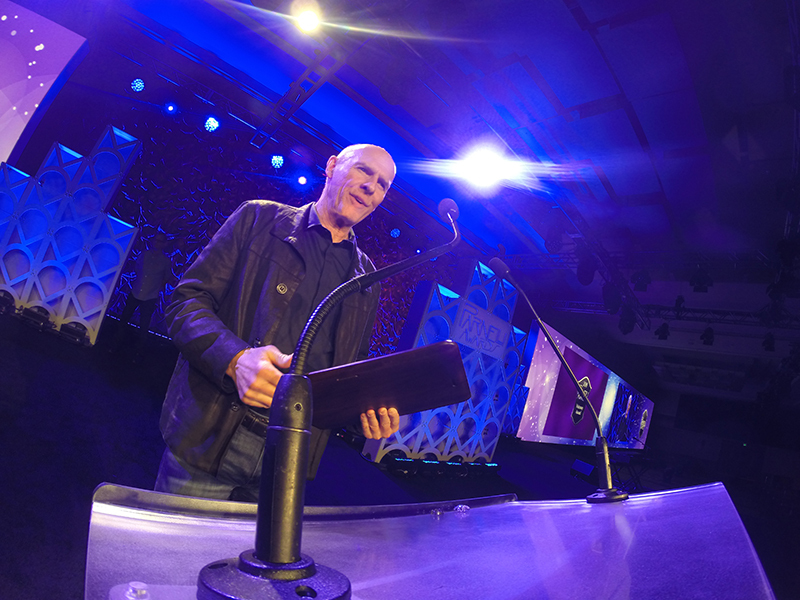 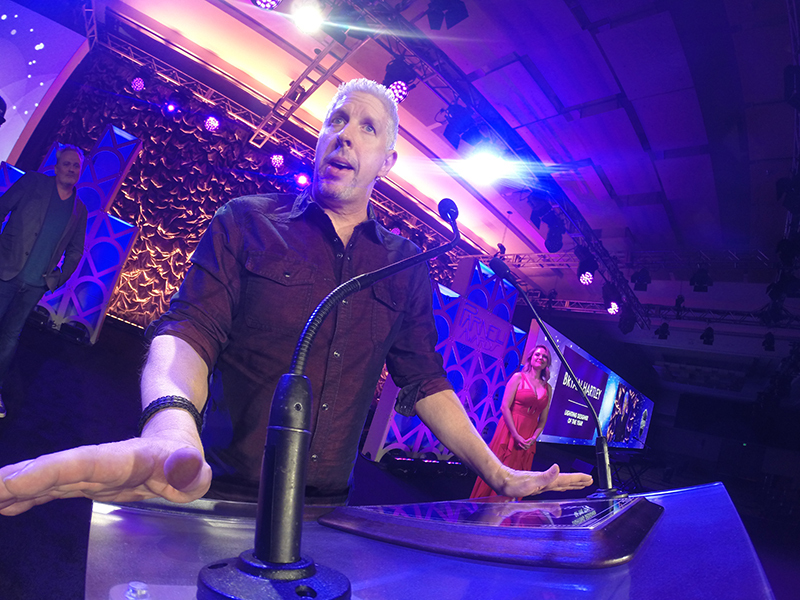 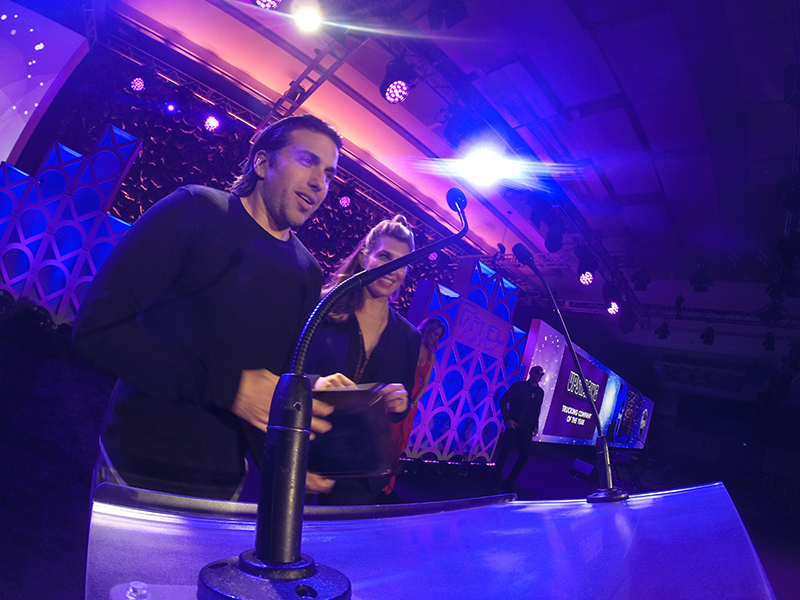 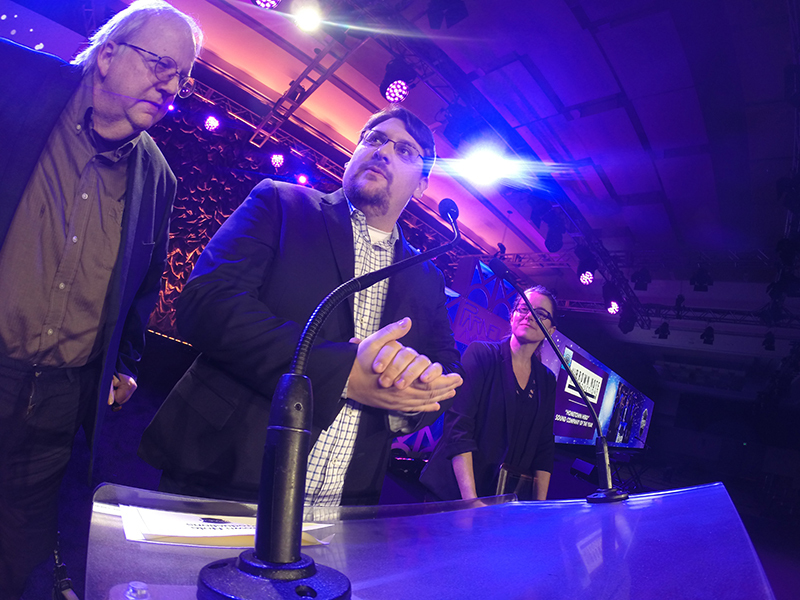 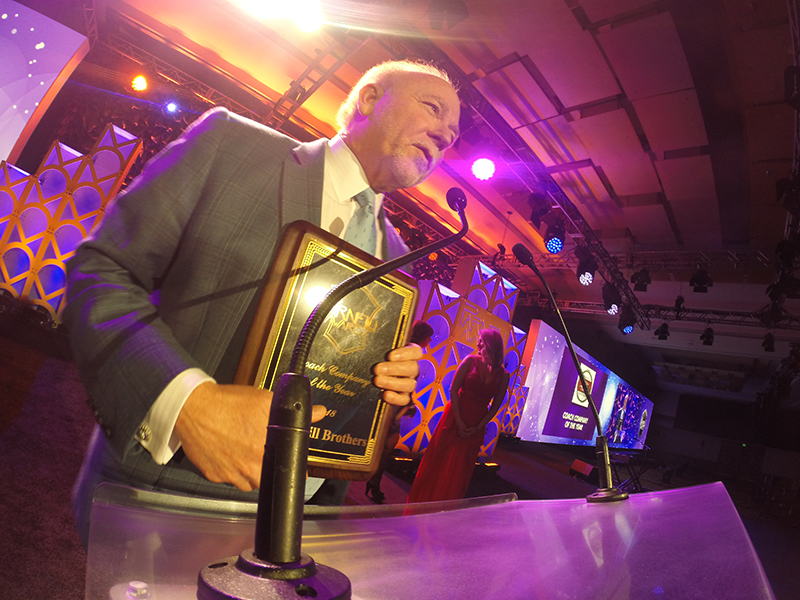 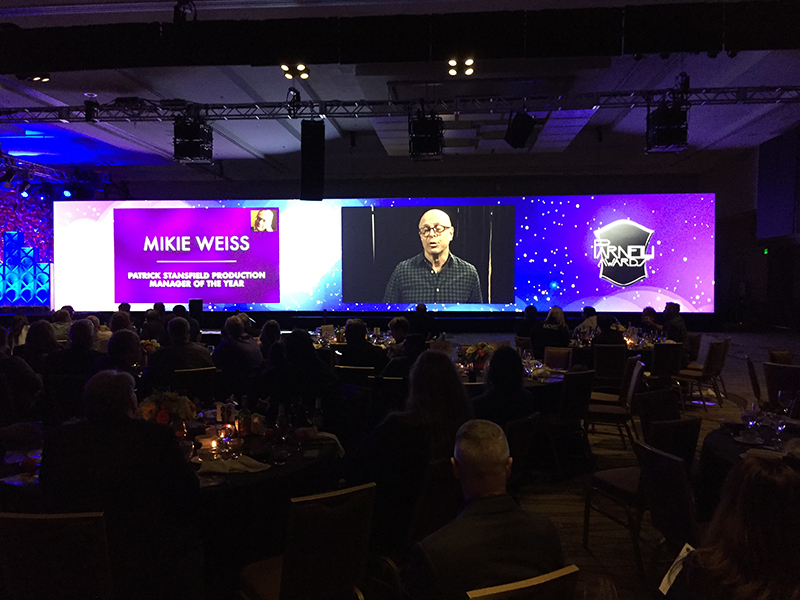 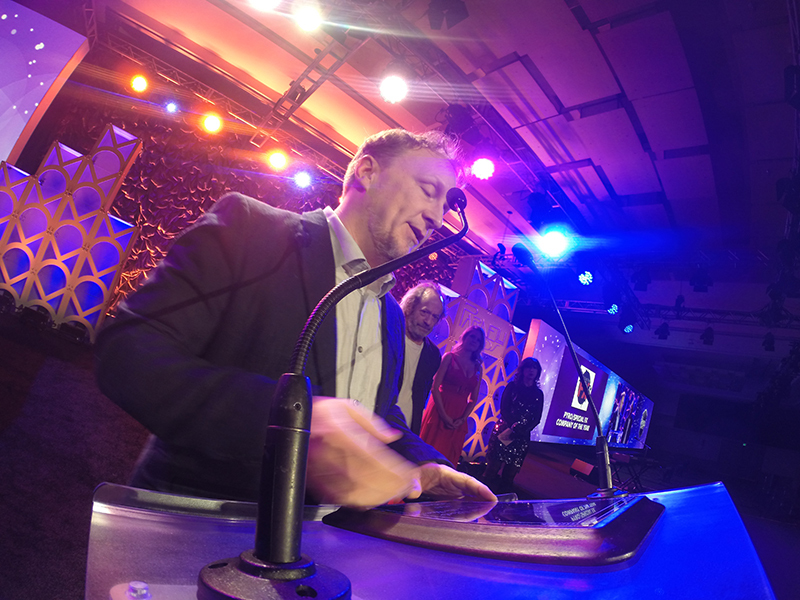 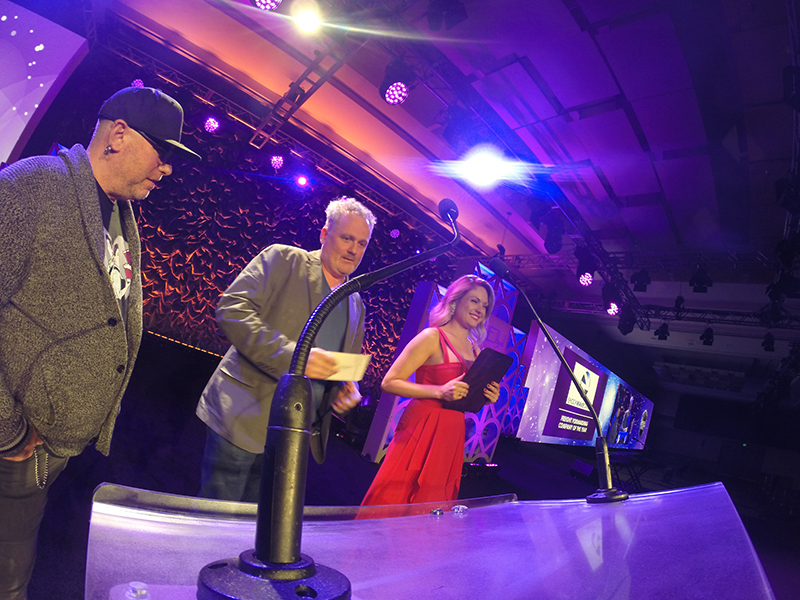 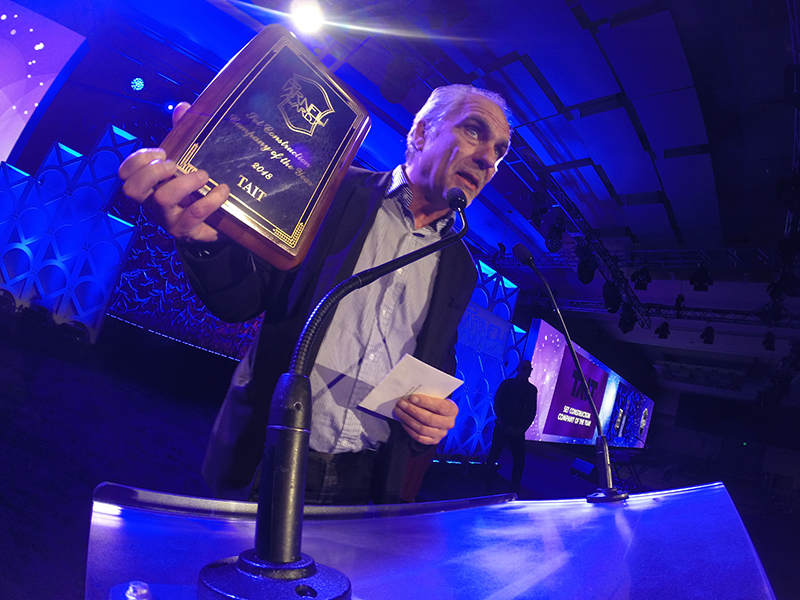 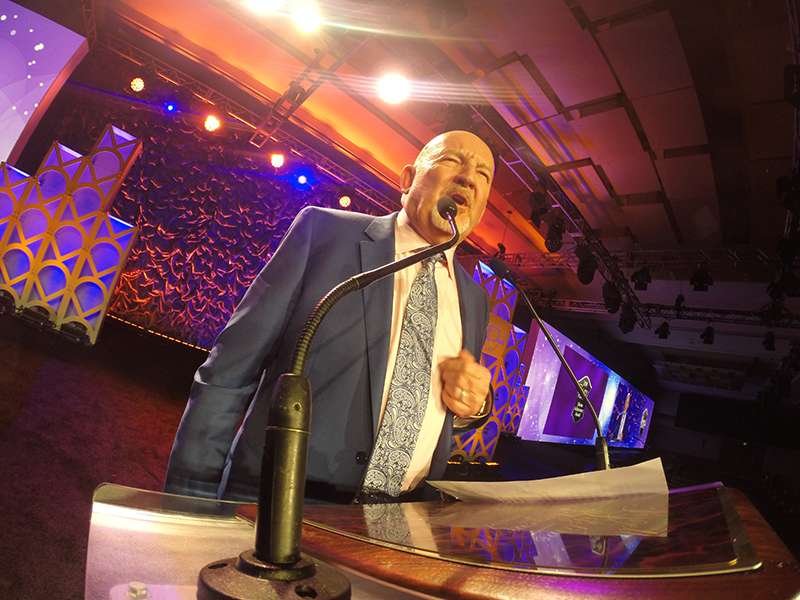 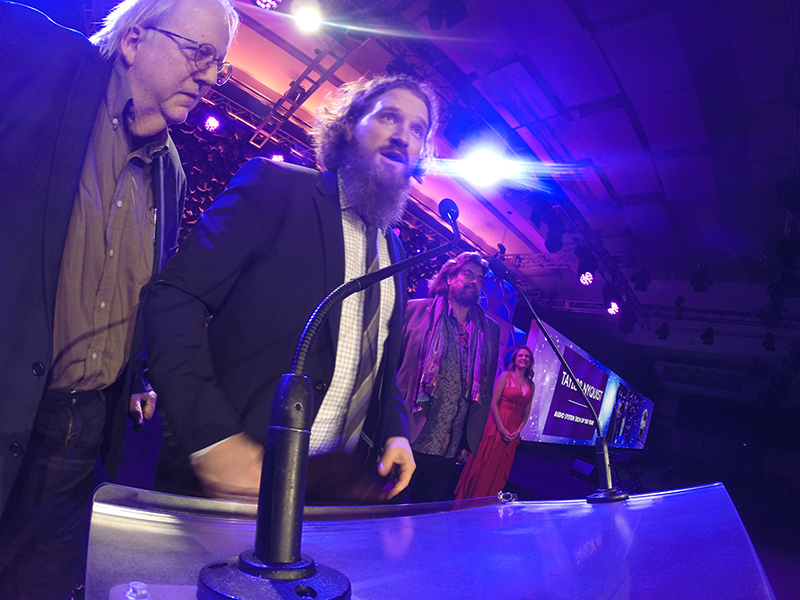 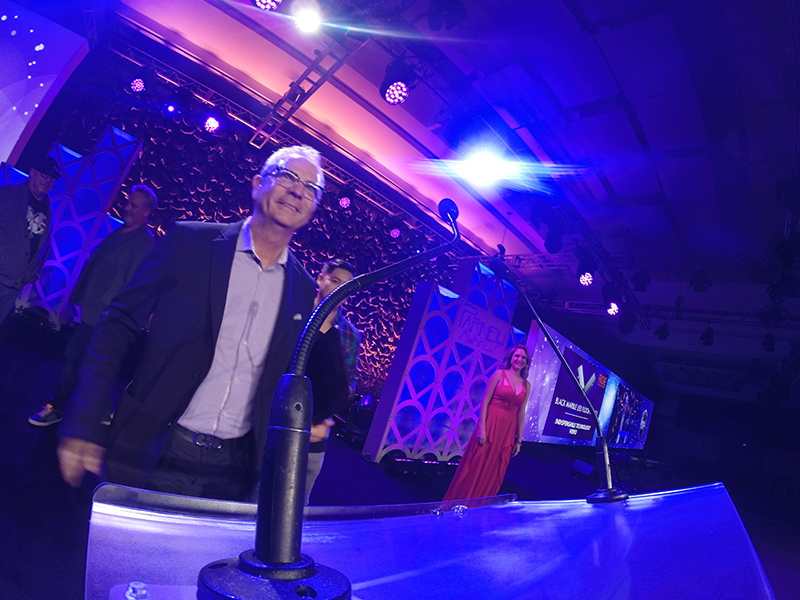 ANAHEIM, CA – The 18th annual Parnelli Awards returned for a second show at Winter NAMM, taking place Jan. 25, 2019 at the Anaheim Hilton with special honors going to production manager Chris Adamson (Lifetime Achievement Award), Yvan Miron (Visionary Award) and Brock Adamson (Audio Innovator Award). 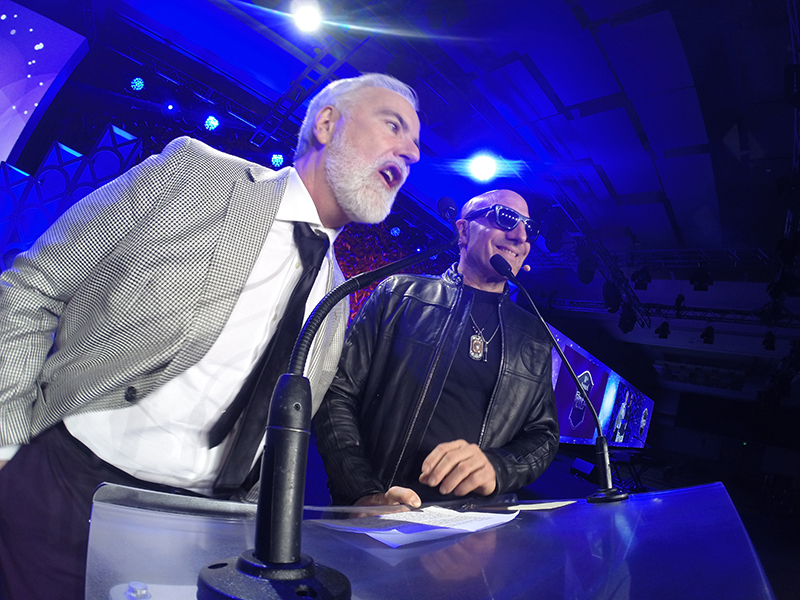 It was a star-studded evening with video congrats for Chris Adamson coming in from Mick Fleetwood and Lenny Kravitz, and Alan Parsons stepping up to present some awards along with host Kenny Aronoff. 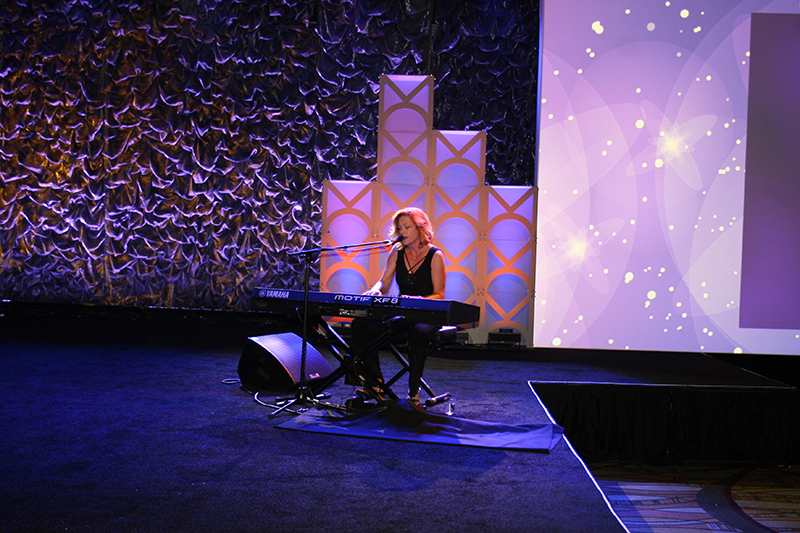 Kiki Epsen also returned to the gala with her soulful piano playing and singing. 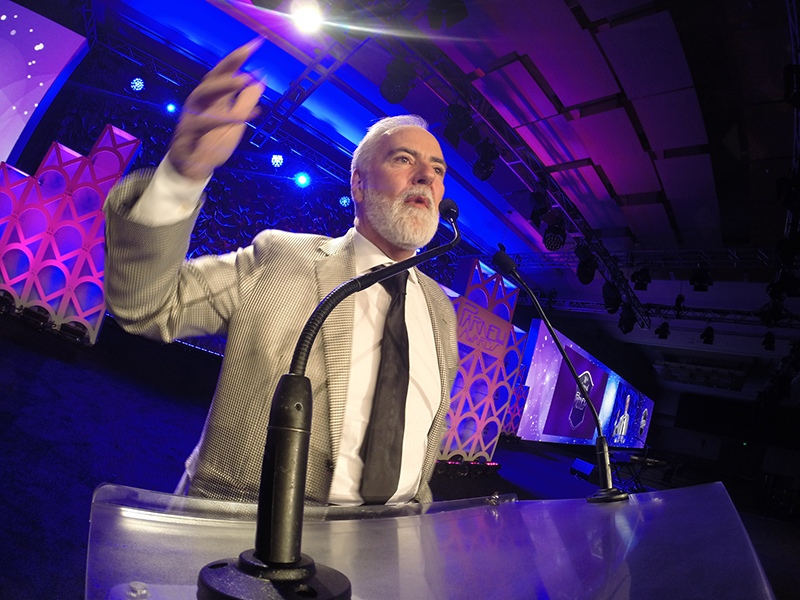 Chris Adamson didn’t have to exhort the attendees to ‘get it in ye’ this time around. 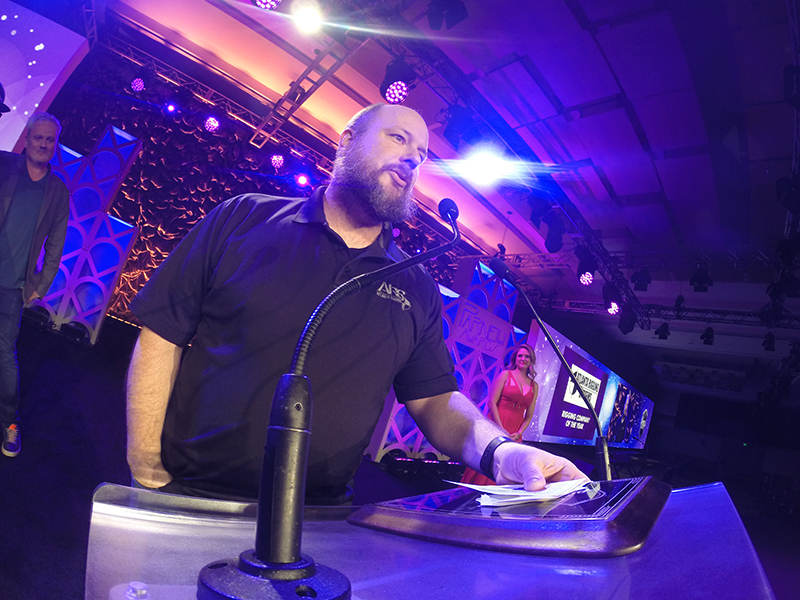 Ray Ziegler of RZI Lighting, Hometown Hero Lighting Company of the Year, didn’t hesitate to give a shout-out of support to his hometown team in SoCal Rams territory. 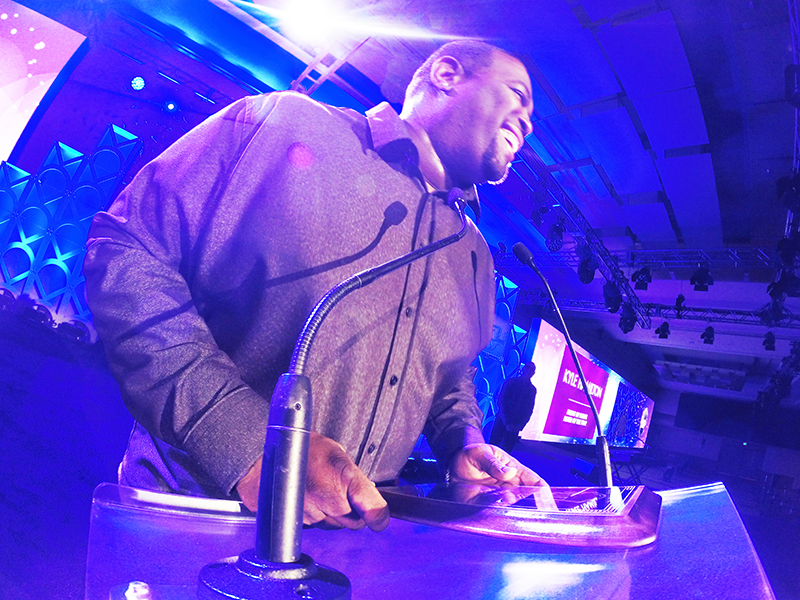 “Go Saints!” he said. 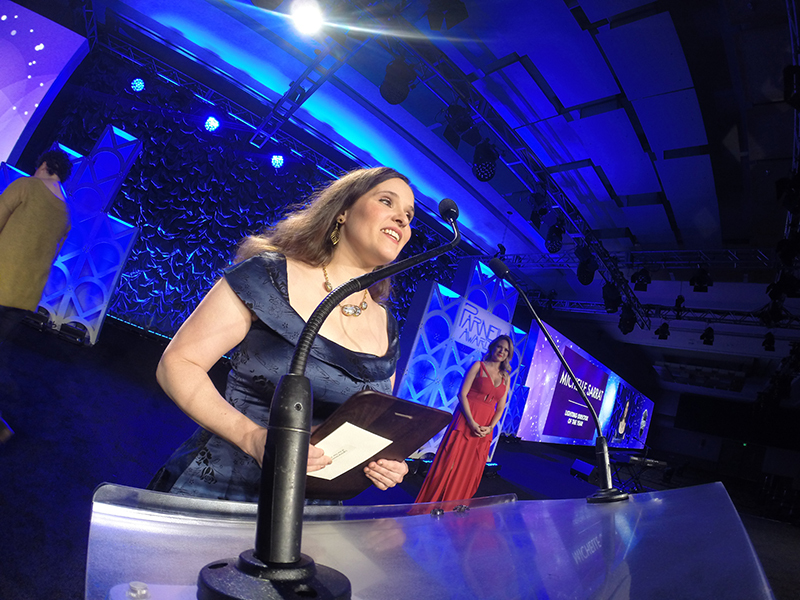 Michelle Sarrat also served as a presenter at this year’s ceremony. 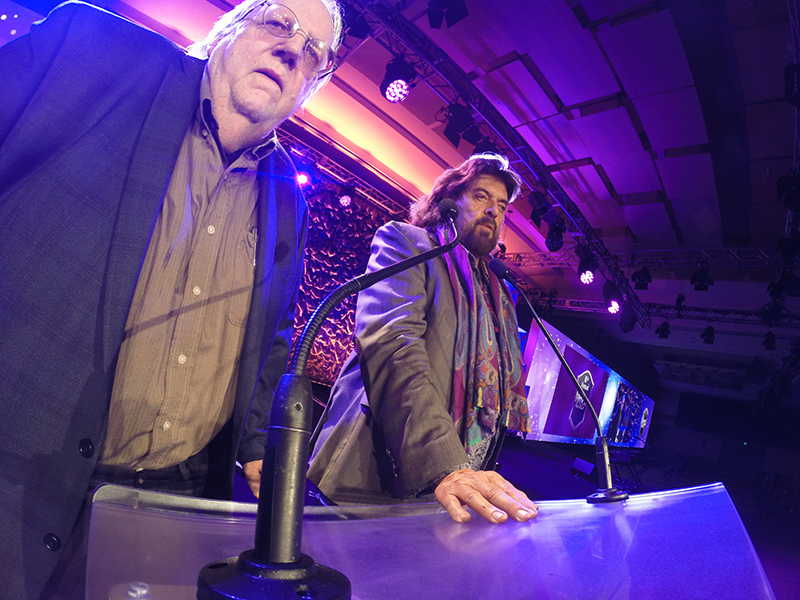 George Petersen and Alan Parsons announced Clair’s win as Parnelli Sound Company of the Year. 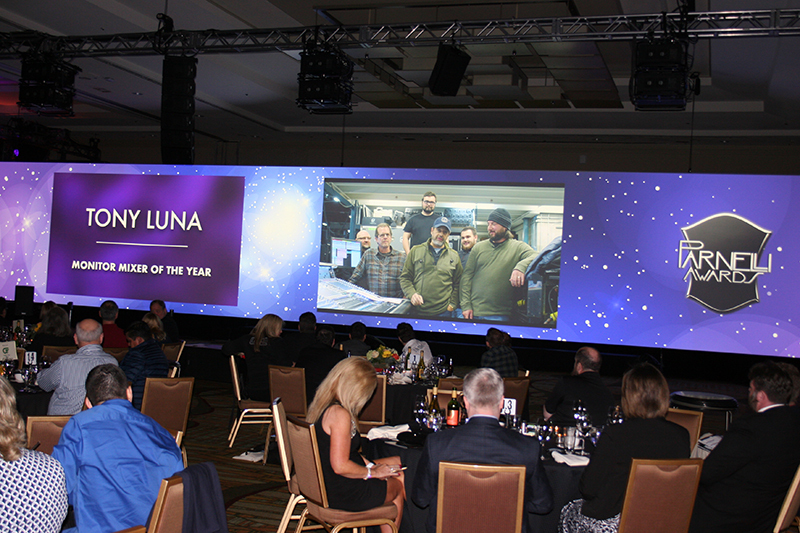 Tony Luna and fellow crew members gave a shout out of thanks from the road. 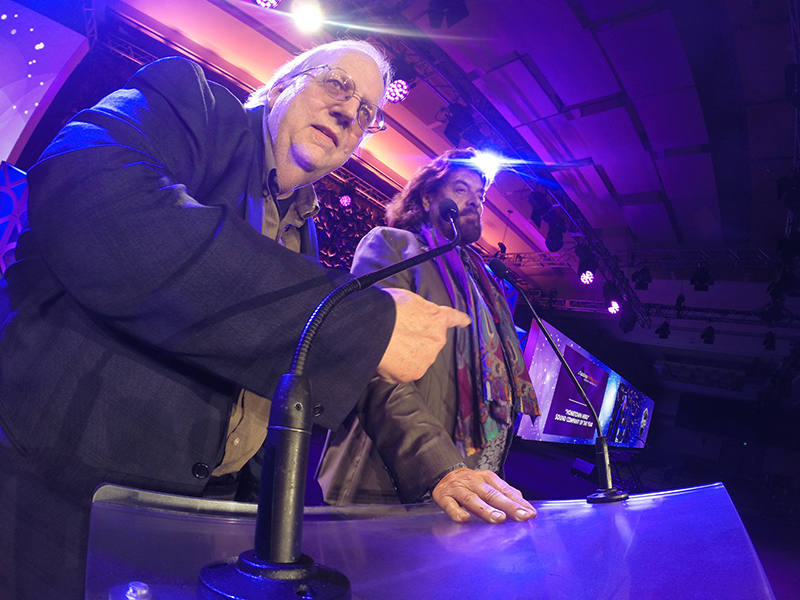 Accepting the award for Solotech are Richard Lachance and Mickey Curbishley. 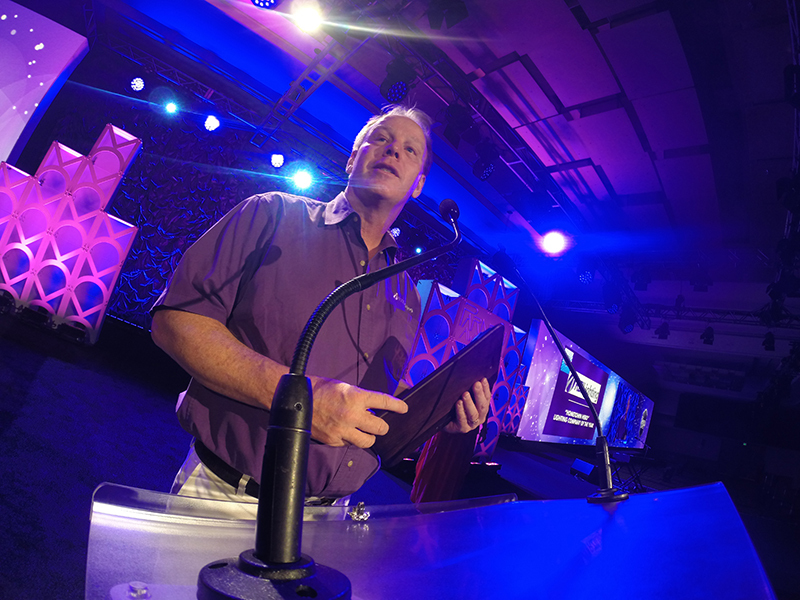 Atlanta Rigging’s Jason Adams accepts the Parnelli for Rigging Company of the Year. 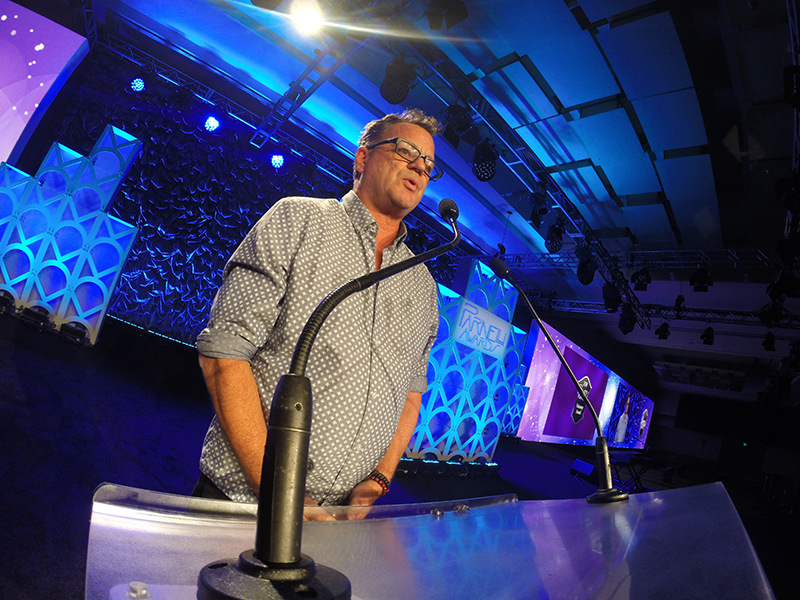 Strictly FX’s David Kennedy and LD Marc Brickman noted the recent passing of Mark Grega from Strictly FX. 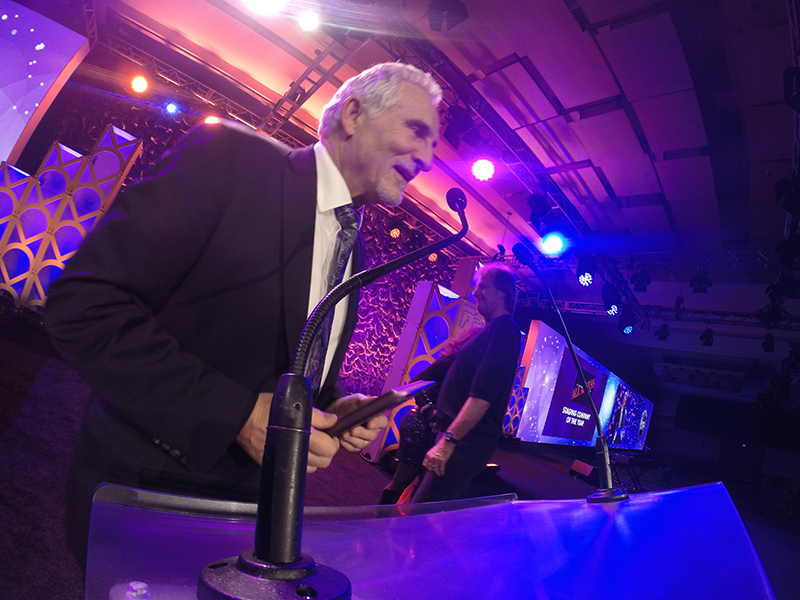 Kennedy accepted the award in Grega’s honor. 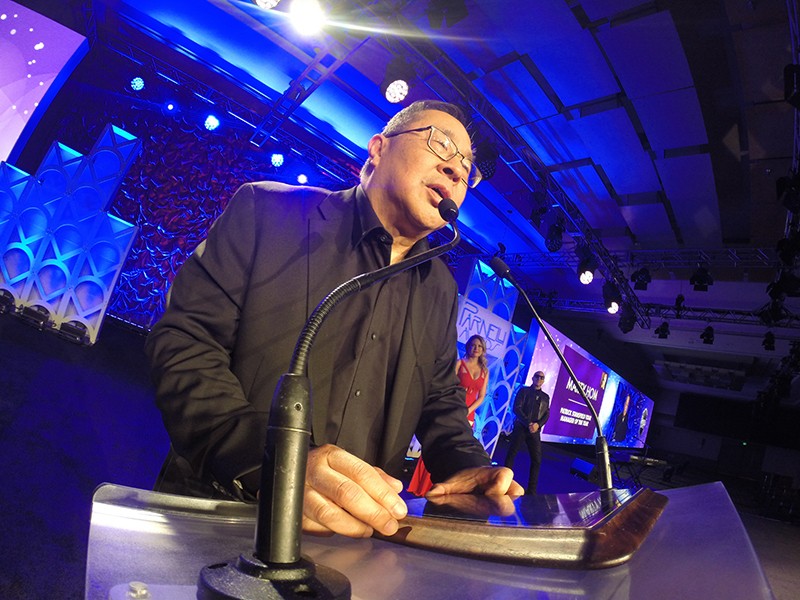 Tour Manager of the Year Marty Hom also served as a presenter at the 2019 ceremony. 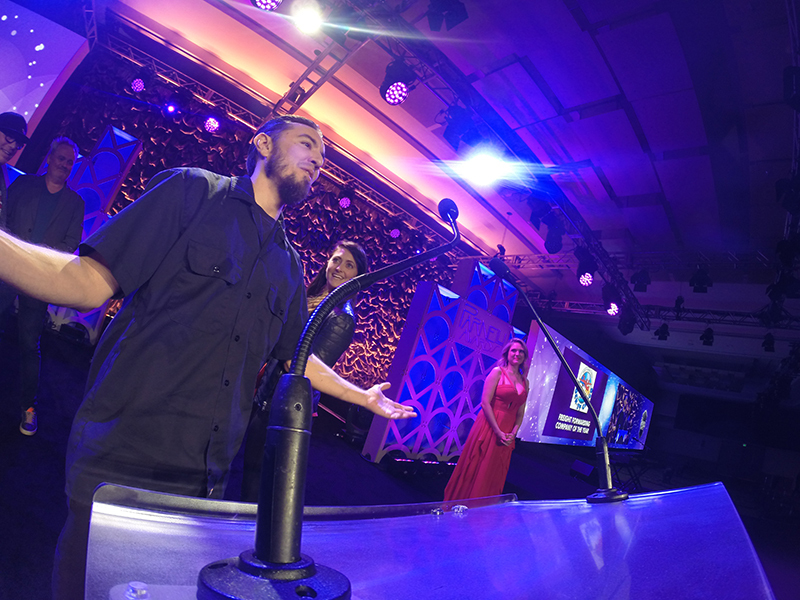 Accepting the Parnelli for Trucking Company of the Year, Upstaging Inc., are Evan Lawrence and Chanon DiCarlo. 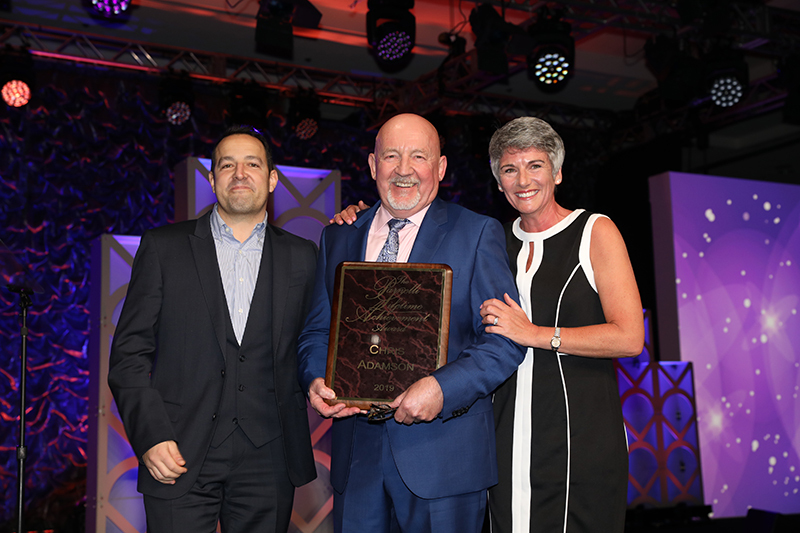 Accepting for Freight Forwarding Company of the Year, Rock-It Cargo, are Jay Deme and Annabel Simer. 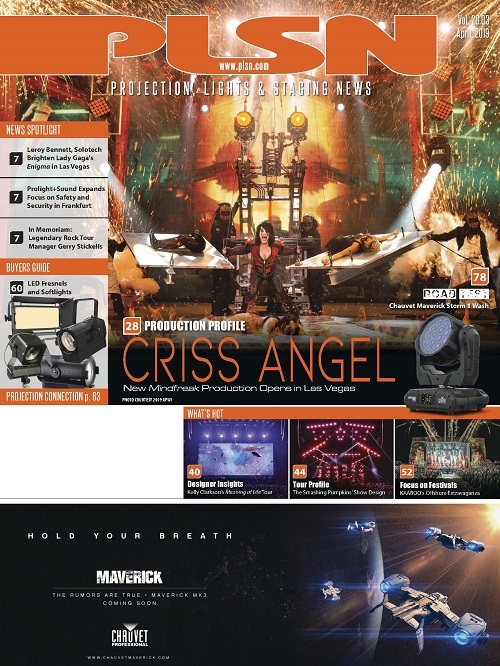 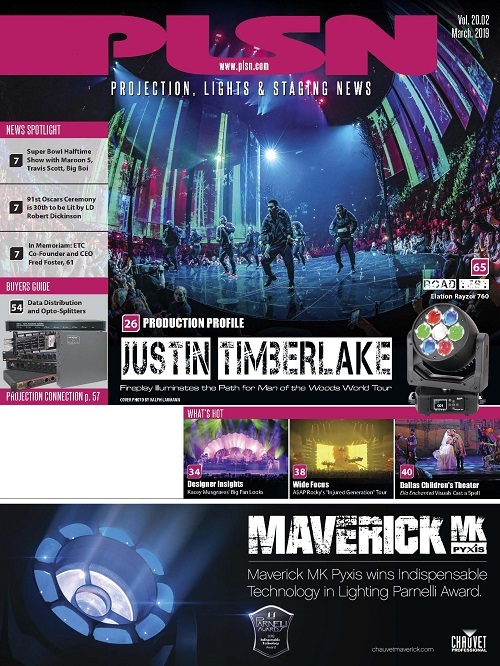 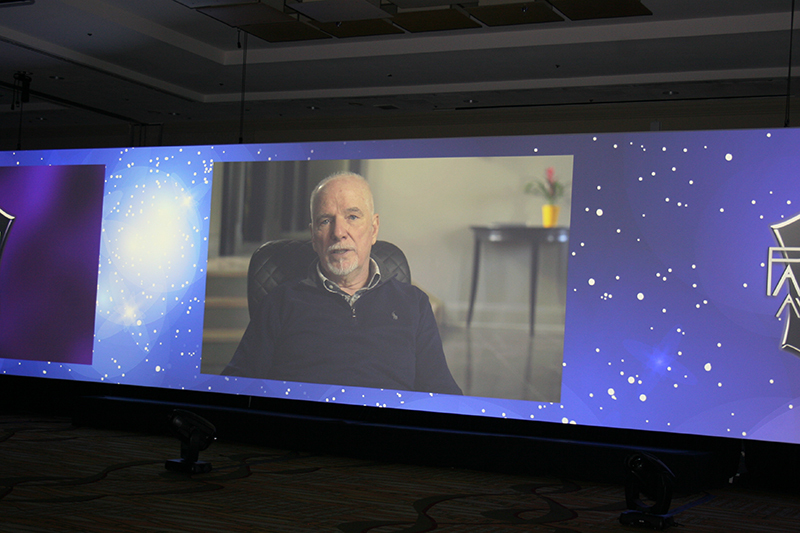 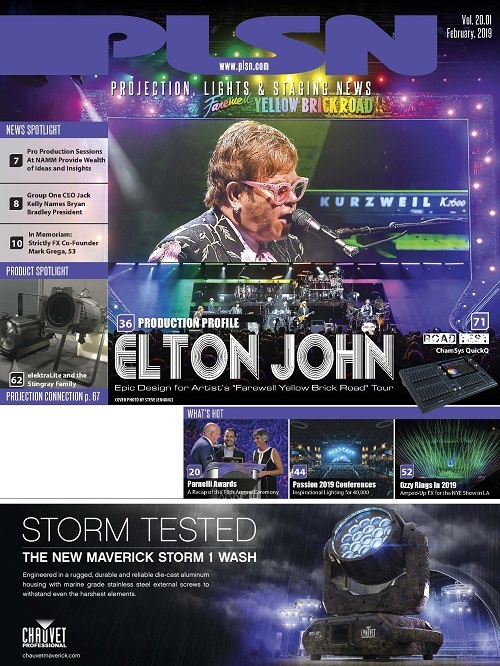 Chauvet’s Maverick MK Pyxis got the “Indispensable” nod. 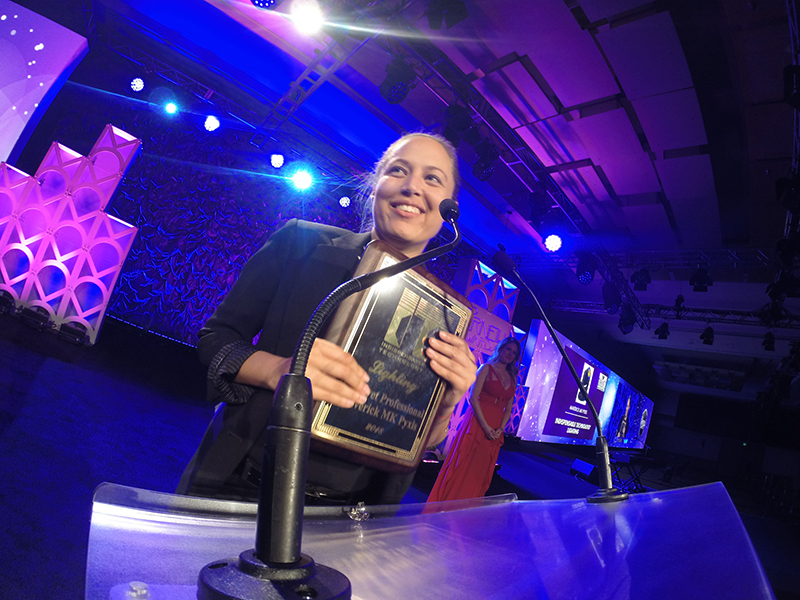 Caroline Chauvet accepted the award. 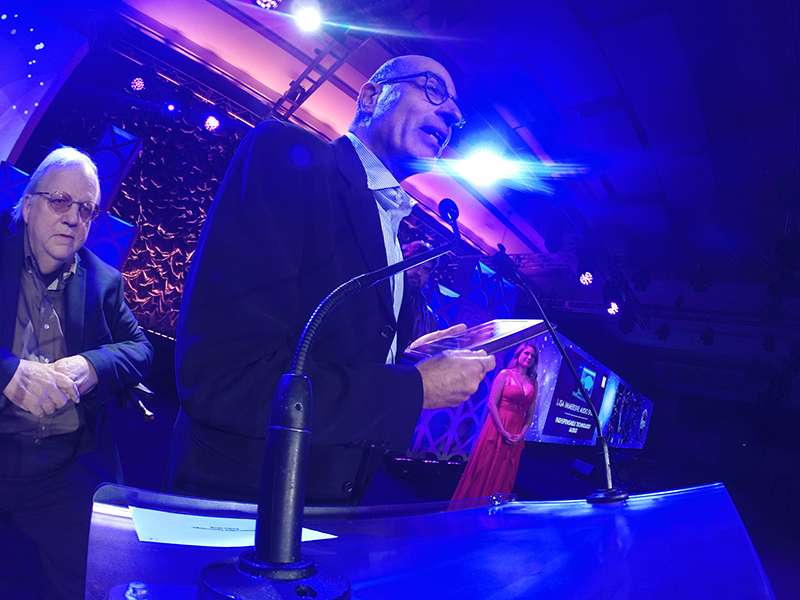 L-Acoustics’ Sherif El Barbari, director of L-ISA Labs, accepted the IT Award for Audio. 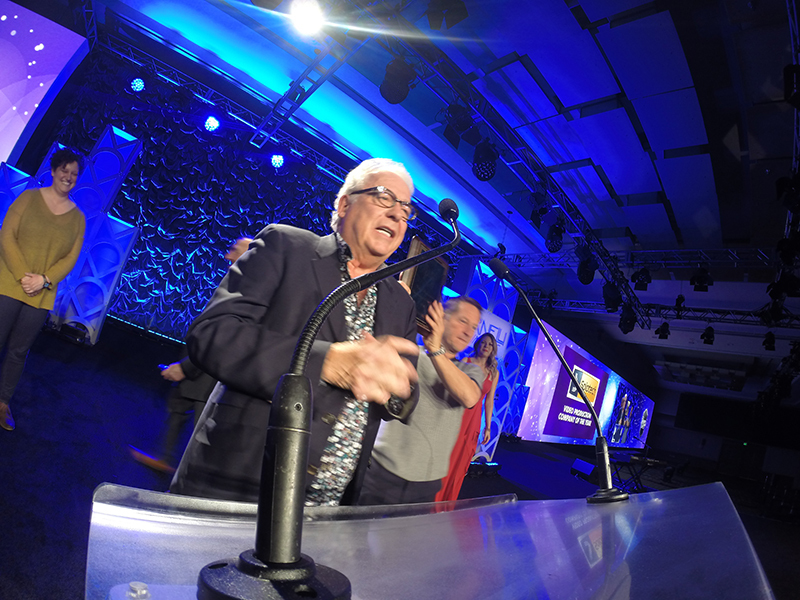 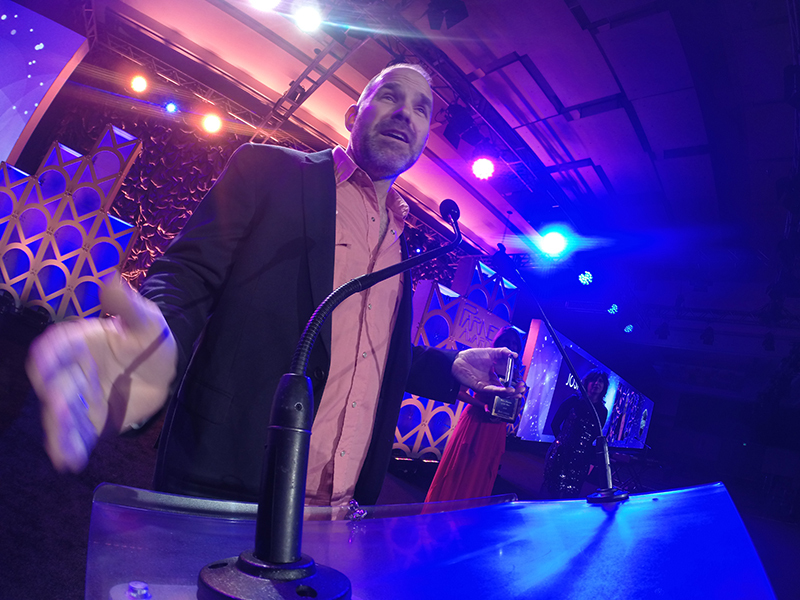 ROE Visual’s Frank Montero accepts. 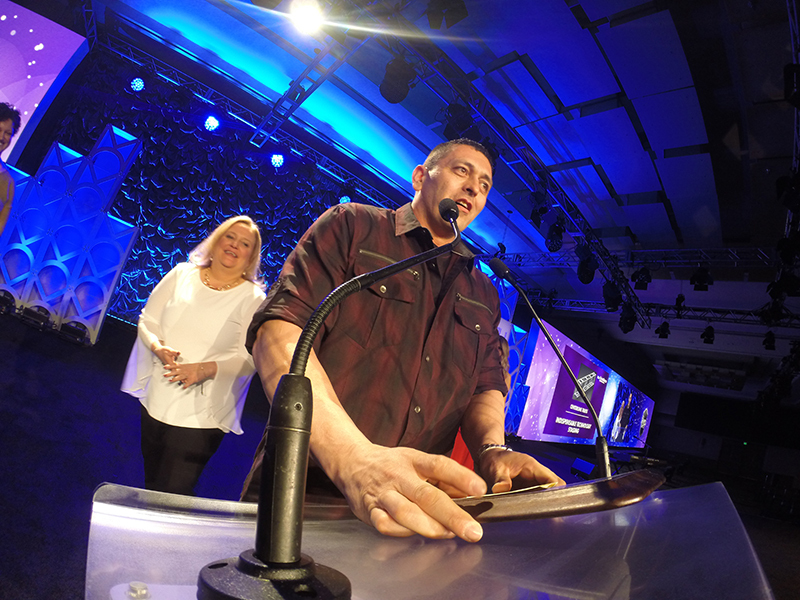 Tyler Truss’ Jason Tello and Tracie Allen accepted. 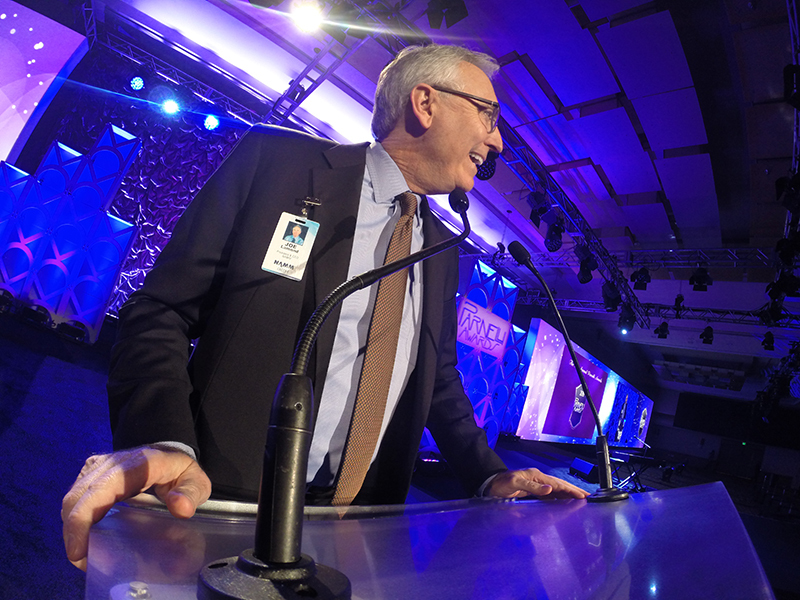 NAMM’s Joe Lamond welcomed attendees at the start of the ceremony. 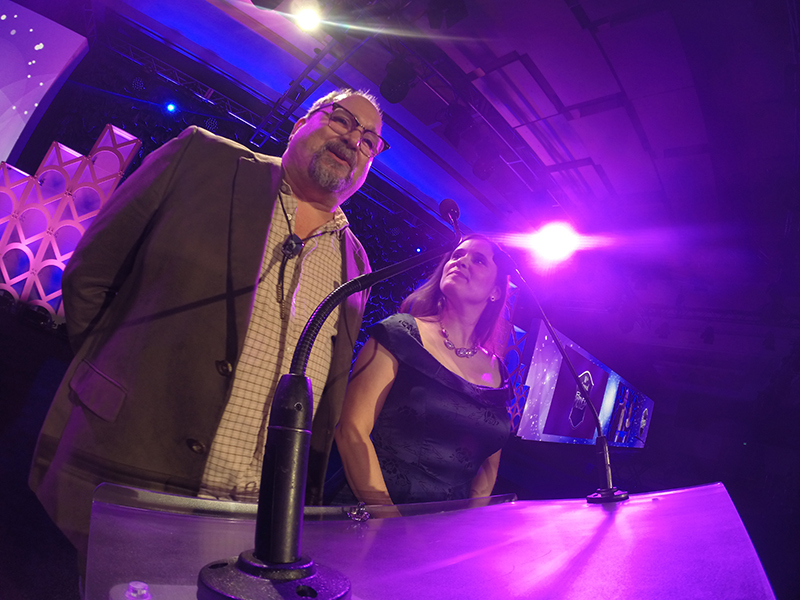 PLSN editor Nook Schoenfeld at the lectern as a presenter this year, with Lighting Director of the Year Michelle Sarrat. 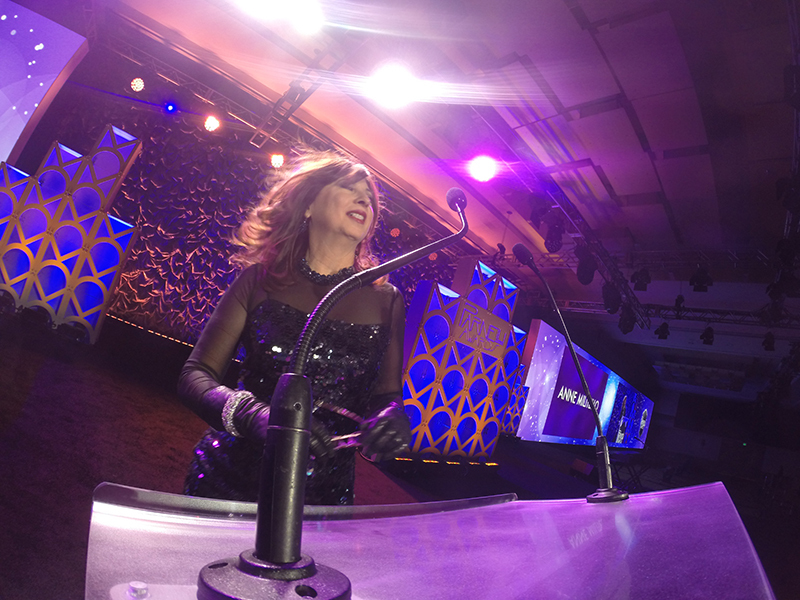 LD Anne Millitello was at ease in the limelight, engaging the audience and presenting a number of awards this year. 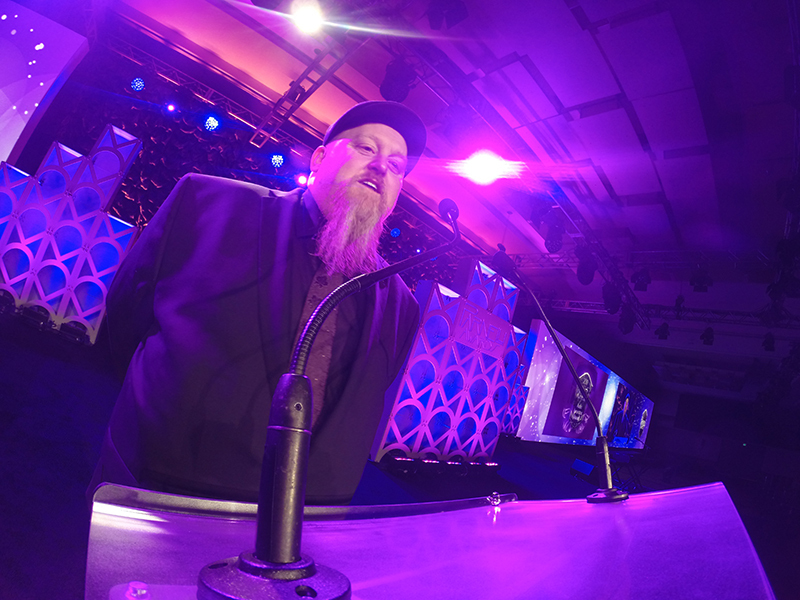 Kevin ‘Tater’ McCarthy helped laud Audio Innovator Brock Adamson, and also wish his speedy recovery from a recent auto accident. 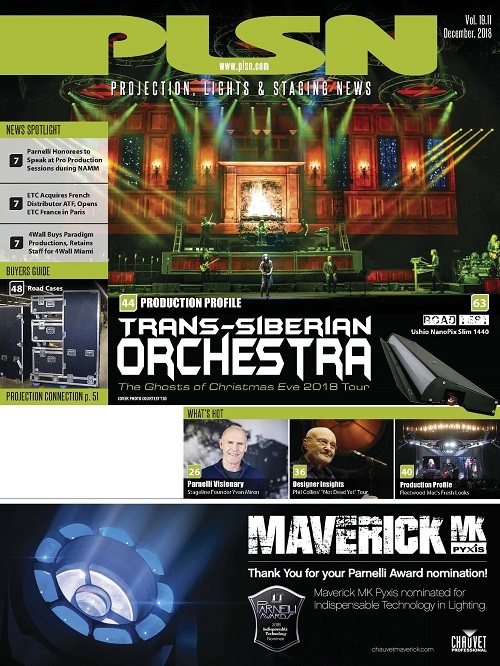 CORRECTION: Earlier versions of this post included the wrong name for the winner of the Parnelli Award for Set/Scenic Designer. 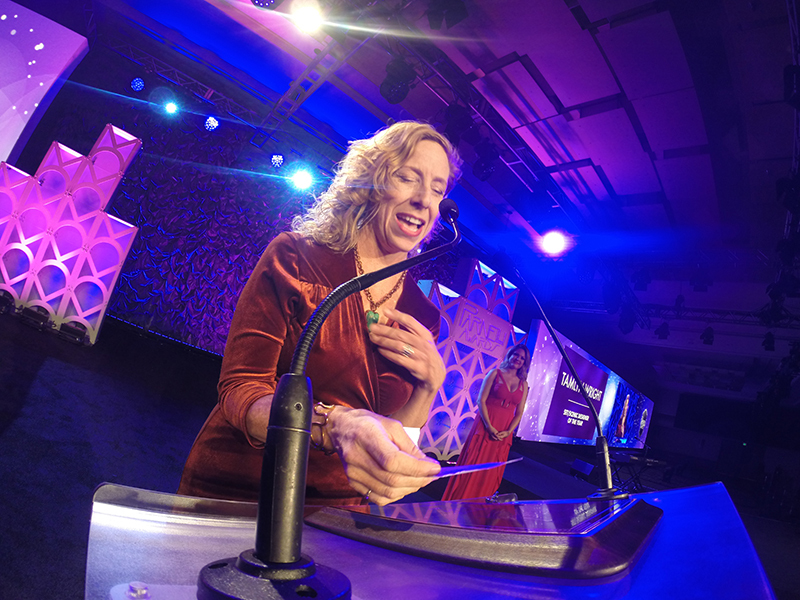 The winner is Tamlyn Wright. 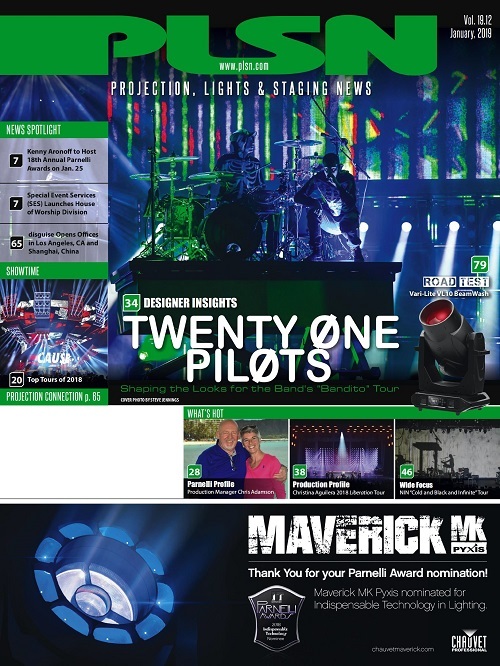 PLSN regrets the error.